Sandra de Sa is a Brazilian singer who was popular in the 80s. Her music is more soul and R&B based than most Brazilians who are influenced by traditional Brazilian music. She was born Aug. 27, 1955 in Rio de Janeiro, Brazil. Her father was a drummer and her grandfather was a musician in Cape Verde. So Sandra is of African descent. She started writing and playing guitar as a teen. Her big break came when she met the popular singer Tim Maia. And he took her under his wing. In the 70s she was described as "the Brazilian Billie Holiday". Sandra appeared on the 1980 MPB Festival and that led to a contract with RGE through her friendship with the popular singer Cazuza. They called her Sandra Sa. She recorded three albums for RGE and then moved to RCA. That's where Sandra probably had her greatest success. 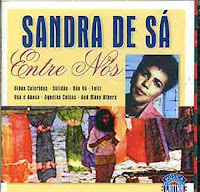 Joga Fora is from her 1986 album Sandra Sa. The song was written and produced by Michael Sullivan and Paulo Massadas. They are long time associates of Tim Maia and they have recorded as a duo. Sullivan also produced Sandra's next album. 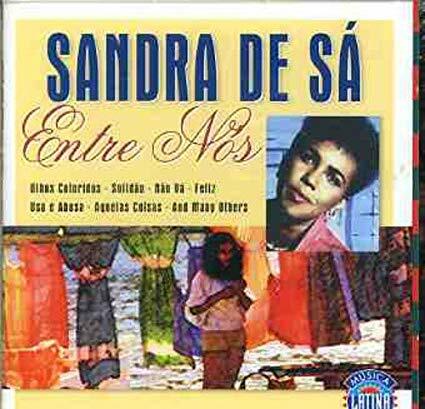 With that album, she was billed as Sandra de Sa. As I said, her music is more R&B based than most Brazilian singers. And that has led to longevity. She also won several music awards in Brazil. Sandra has also recorded for WEA and Universal. This budget comp is a good intro to her music. Sandra still appears on Brazilian TV though she doesn't record as much as she used to. Here's Sandra de Sa performing Joga Fora on the TV show Brazilian Beats 2012.